Whestem Medicine dismisses traditional systems of healing as being unscientific and not open to general scrutiny; traditional systems view allopathy as being to reductionist and more interested in the parts rather than in the individual as whole. The lingering reality, however, is that nosingle system of healthcare- traditional or modem, is able to provide comprehensive answers to sickness and disease that have plagued mankind over the ages. 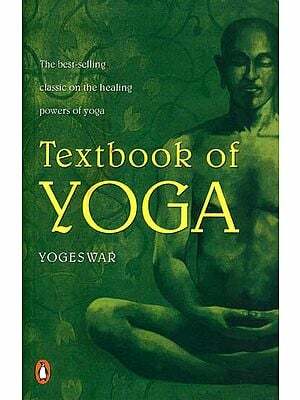 The Yoga of Healing, an anthology of articles published in The Hindu, examines eight systems of healing – Allopathy, Ayurveda, Homeopathy , Acupuncture, Pranic healing, Reiki, Yoga and Psychoanalysis – their approach to sickness, their intrinsic healing power and their limitations. Yoga expert T.K.V. Desikachar and allopathic surgeon Dr. Arjun Rajagopalan anchor a series of dialogues with specialists in the various fields. What emerges in the need for a synthesis – a mixing and merging of the positive aspects of all systems; a need to discover a cohesive path towards holistic healing. Health has always been of concern to human society. Thousands of years ago we had healthcare systems like Ayurveda which evolved from the Vedas. Over time, thinkers felt that human beings had an intrinsic power to heal themselves and religious systems also introduced the idea that faith can heal. Recently, however, what has been a cause for concern is that we have noticed certain lacunae in the most advanced health care system, Allopathy vis a vis it's approach to healing. Based on this, two years ago it occurred to us that if we examined the strengths and limitations of the different systems of medicine we could possibly evolve a methodology wherein the positive aspects of one system could compensate the limitations of another. People would thus stand to benefit from a combined, holistic approach. We than spoke to Ms. Nirmala Laxman, Director of The Hindu, who was very open to our idea of starting a dialogue with experts of the various systems. That is how this series, Yoga of Healing, began. The articles were very well received and many of our readers expressed the desire that it be published as a book. This venture is in effect, an edited version of the series and we are grateful to the Editor of The Hindu for giving us the permission. The book has been divided into two parts to facilitate better understanding. 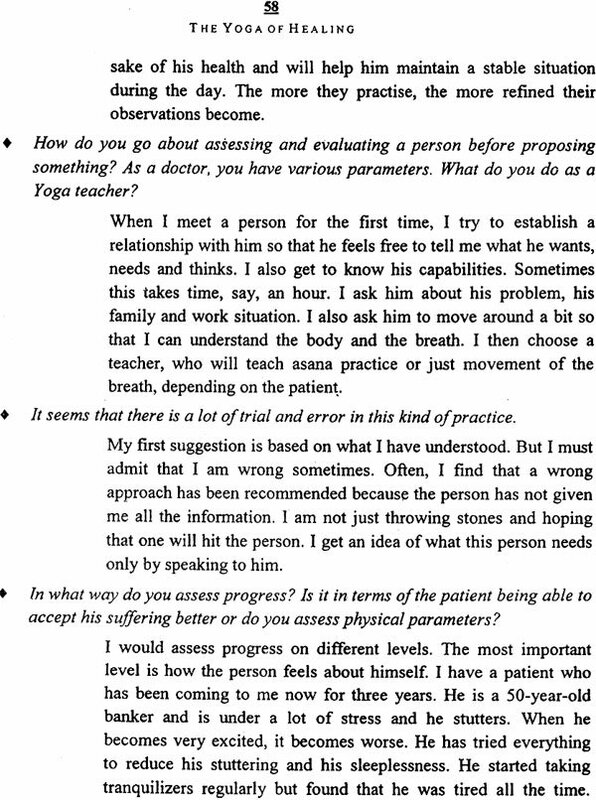 The first part deals with eight different system of healing their individual characteristics and approaches to sickness and healing – in separate chapters. Part two looks at four chronic problems where a panel of doctors/healers shares views on the management of the particular disease. It is our hope that the endeavour will be followed by the next important step of realising the dream of all healing systems working together for the ultimate good of mankind.